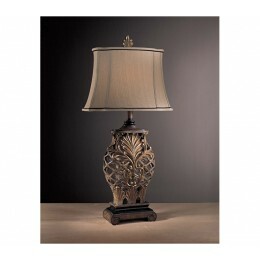 The Minka Lavery 10693-192 is a 33" Table Lamp Light Fixture in the Weathered Lattice Finish With Handcrafted Beige Shade. This light fixture is from the Romance collection and is Underwriters Laboratories (UL) Approved for Indoor Locations. To view further details of this Minka Lavery Portable Lamp, see Light Fixture Features above. 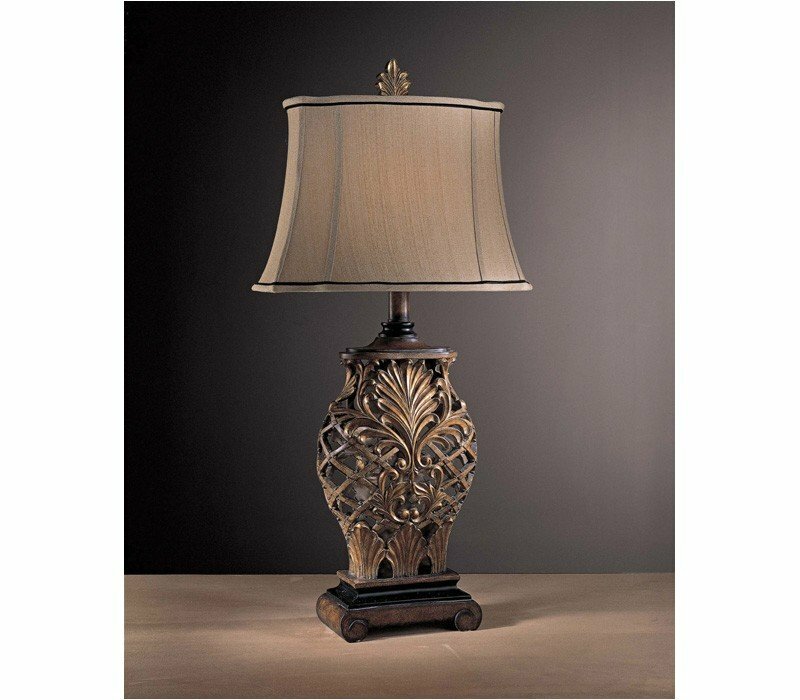 The Minka Lavery 10693-192 Romance collection Table Lamps in Weathered Lattice use Incandescent light output and bring Antique style. This item is 32.5"H x 11"W. The total wattage is 150 and the voltage is 120 volts. The Minka Lavery 10693-192 requires 1 bulb (not included). Additional Information: Shade-Handcrafted Beige Shade; Control-On / Off Switch.